Special events throughout 2018 are planned to celebrate the 40th anniversary of the creation of Ebey’s Landing National Historical Reserve, a successful community partnership that has preserved, maintained and enhanced the area’s unique history, rural and agricultural heritage, and sweeping natural beauty. On Nov. 10, 1978, President Jimmy Carter signed legislation passed by Congress to establish the nation’s first National Historical Reserve. 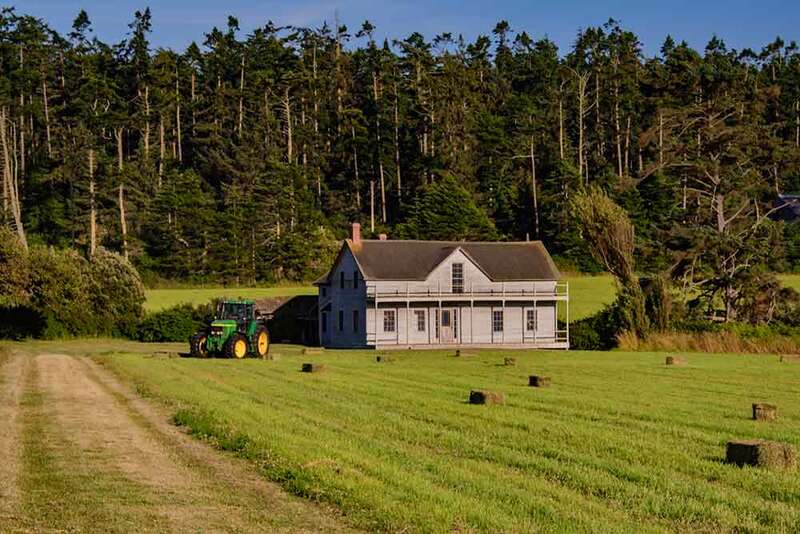 Forty years later, the Reserve’s more than 17,500 acres – still mostly privately owned – retain their rural, agricultural heritage and gorgeous views, thanks to a community partnership that includes private land owners, the National Park Service, Washington State Parks, Island County and the Town of Coupeville. 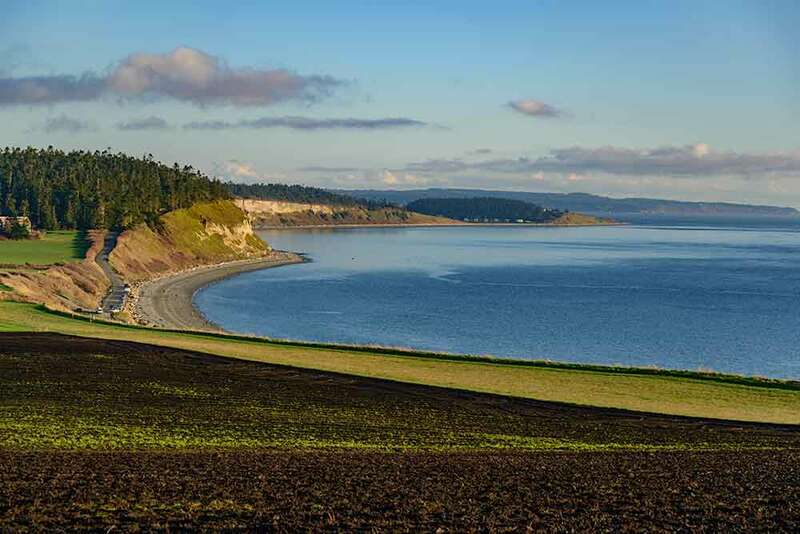 It has also benefited from the help and generosity of the Nature Conservancy, the Whidbey Camano Land Trust and the Friends of Ebey’s, a nonprofit organization that raises private funds to support the Reserve. Today, as local farmers continue to farm, just as they always have, the Reserve has also become a magnet for thousands of visitors from around the world. to mark the Reserve’s 40th anniversary. March 15, 6:30 p.m. at Coupeville Rec Hall. Sponsored by the Island County Historical Society, this oral history event & dessert potluck will feature memories and stories, shared by local farmers and local residents about the Reserve’s rural heritage. April 6-May 31 at Pacific Northwest Art School in Coupeville. An exhibit of painting, sculpture, photographs and other art that has been inspired by Ebey’s Reserve. Opening reception April 6, 6-8 p.m.
April 13-15. Third annual 50-hour FilmSlam invites you to produce a short film about the Reserve that must include certain surprise elements – some of which will relate to the 40th anniversary. April 21. This annual event for children and families will celebrate the 40th anniversary with a focus on agriculture and food produced in the Reserve. This event also kicks off National Park Week. May 5, 4-6 p.m. at Coupeville High School Performing Arts Center. Selected films from Third Annual Ebey’s Landing FilmSlam will be shown on the big screen and prizes will be awarded. June 23, July 21 and Aug. 18. Sarah Steen, Reserve preservation coordinator, will lead small-group guided tours of the iconic Ferry House by reservation on three Saturdays this summer. Reservations may be made beginning May 1 through the Trust Board office (360) 678-6084. Throughout the summer look for announcements of special hikes and events led by experts from The Nature Conservancy, Washington State Parks, the Trust Board and Island County. mid-July through December. The Island County Historical Museum presents a special exhibit about the creation of the Reserve in honor of its 40th anniversary. July 28, 11a.m.-2 p.m. 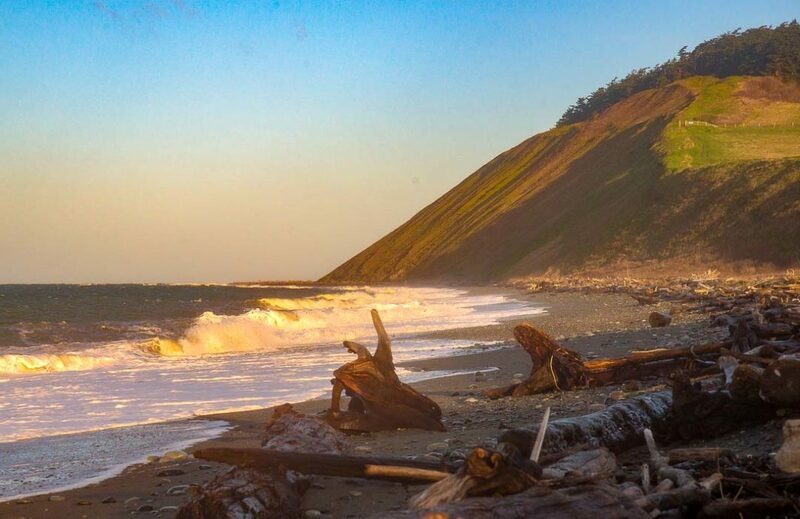 Celebrate the transformation by the National Park Service with support by the Friends of Ebey’s of an historic structure on the Pratt Loop Trail into a classroom space for student groups. Aug. 25. The Friends of Ebey’s invites the entire Reserve community, far and near, to eat, drink and be merry at a picnic on a farm to celebrate our community and the 40th anniversary of the Reserve. Sept.13, time and place to be announced. A program by anthropologist Douglas Deur, PhD, Portland State University. Sponsored by the Town of Coupeville. The Trust Board is developing these commemorative items in honor of the anniversary, to be released later in the year. Nov. 9. The 11th annual community potluck at the Crockett Barn will celebrate the formal signing of the legislation on Nov. 11, 1978, and 40 years of community partnership.